The "Sew" Handy Deluxe Sewing Kit is an ideal gift for promoting your brand as one that helps them cope with garment emergencies. It comes in attractive colors including lime green, black, red, or royal blue, all with black trim. The "Sew" Handy Deluxe Sewing Kit is an ideal gift for promoting your brand as one that helps them cope with garment emergencies. It comes in attractive colors including lime green, black, red, or royal blue, all with black trim. 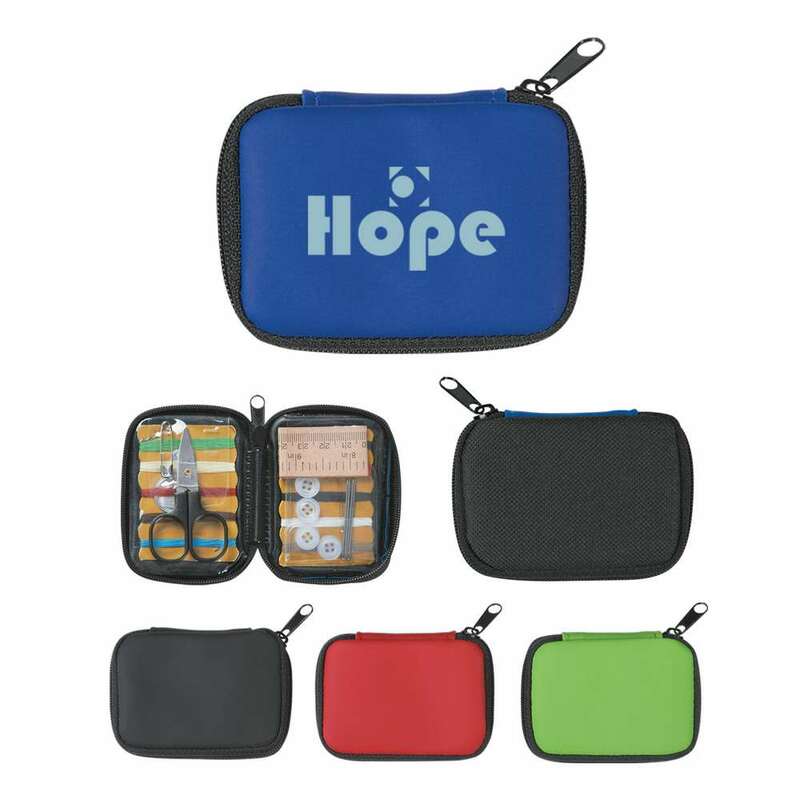 It contains a pair of scissors, 2 safety pins, a needle threader, 10 colors of thread, a cloth measuring tape, 4 buttons, and 4 needles, enclosed in a compact case with zipper closure. Use standard silk screen colors to imprint your brand name and company’s logo on this white kit. Give it away at trade shows, expos, and shopping malls.